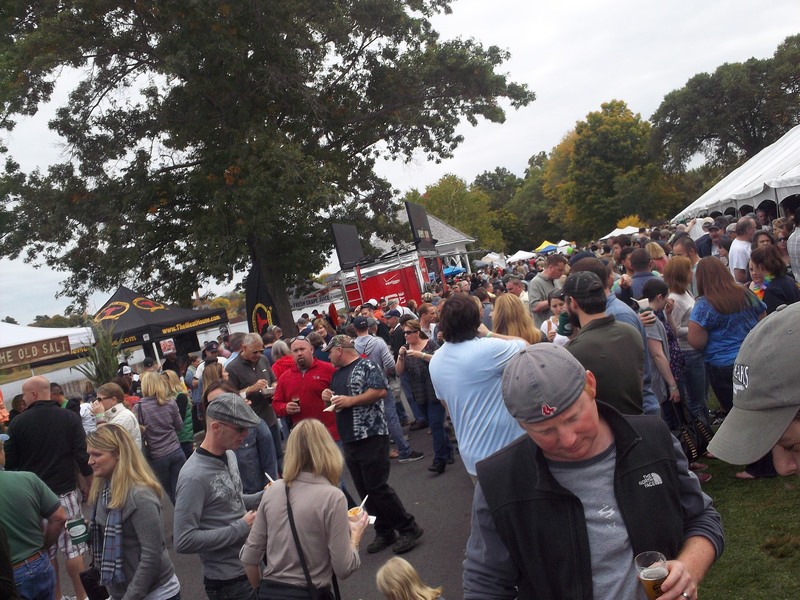 Pumpkin – Breweries, Wineries and the fun in between! 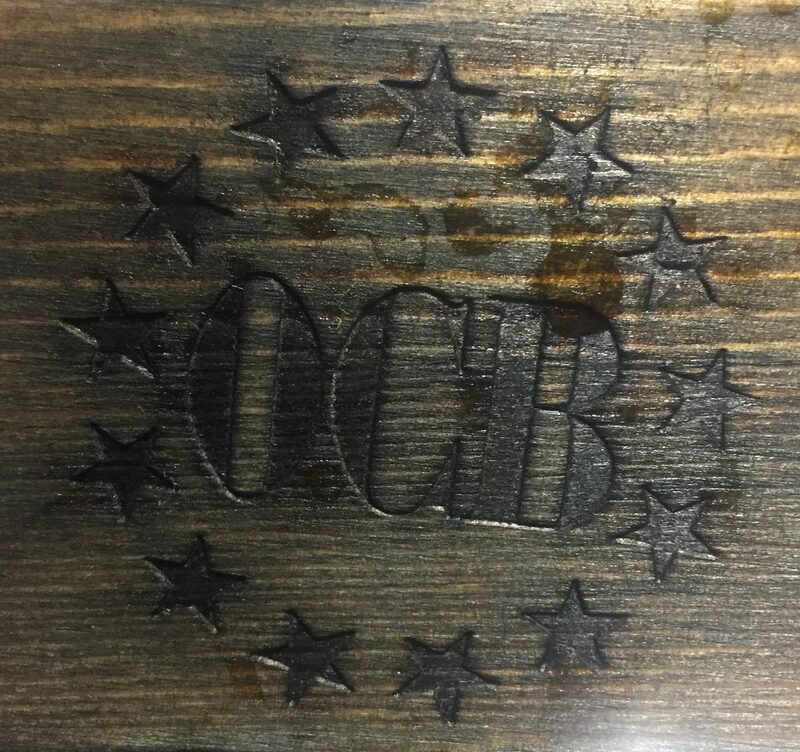 Old Colony Brewing is a nano brewery in Whitman, MA. 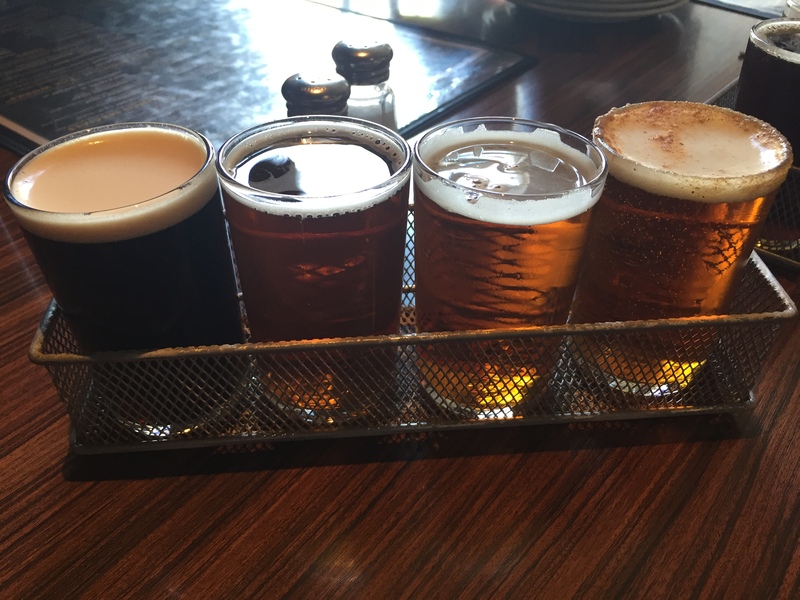 We have tried a few of their beers before we actually visited them. Sam and Dustin like going there, as it’s close to them. We met Megan’s sister Sam and her friend Lindsey there one evening in November. They serve 5 oz pours and full pints. They also have growlers and crowlers to go, and they just started doing limited runs of 16 oz cans as well. Light and easy drinking, mildly hoppy, tropical notes up front with a slightly bitter finish, just like the description says. A milk stout brewed with chocolate and chocolate malts. Good for a milk stout, more on the bitter chocolate side than a sweet milk chocolate flavor. 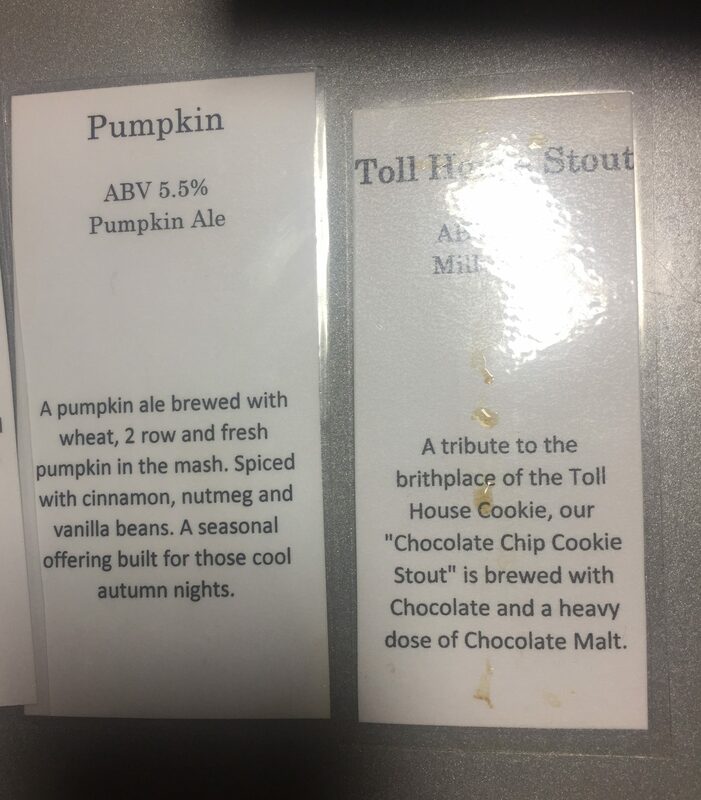 With the Toll House name and billed as a ‘chocolate chip cookie stout’ we expected something sweeter and for it to somehow be more cookie like somehow. A wheat beer made with apples and cranberries. Taste like a wheat style beer with a sweeter than typical cranberry flavor, probably from the addition of the apples, pretty good. Super citrusy and fruity aroma. This was a tasty new england style ipa, hazy but not opaque, a little bit sweet but a good beer, Mark’s favorite overall. An ale brewed with fresh pumpkin in the mash. Megan thought it had a good balance of flavors, cinnamon, nutmeg and vanilla all present but not overwhelming. 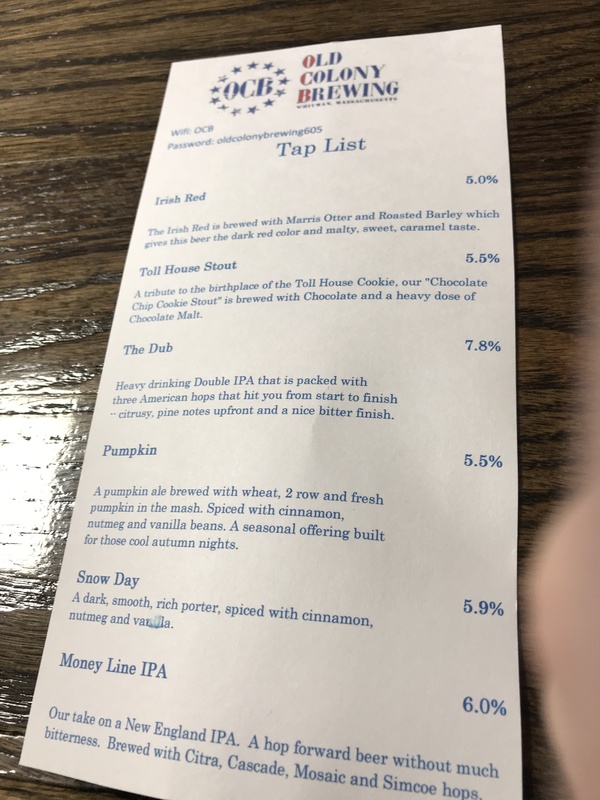 Mark went back a second time with Dustin in January and liked Money Line IPA again, and thought the Toll House Stout was pretty good. This beer was not great, thin and not very hoppy at all. Interesting beer, a spiced porter. Better than Mark expected, cinnamon, nutmeg and vanilla added some nice additional flavors to make this and interesting porter. Sam and Dustin have mentioned this beer a few times to us as well. 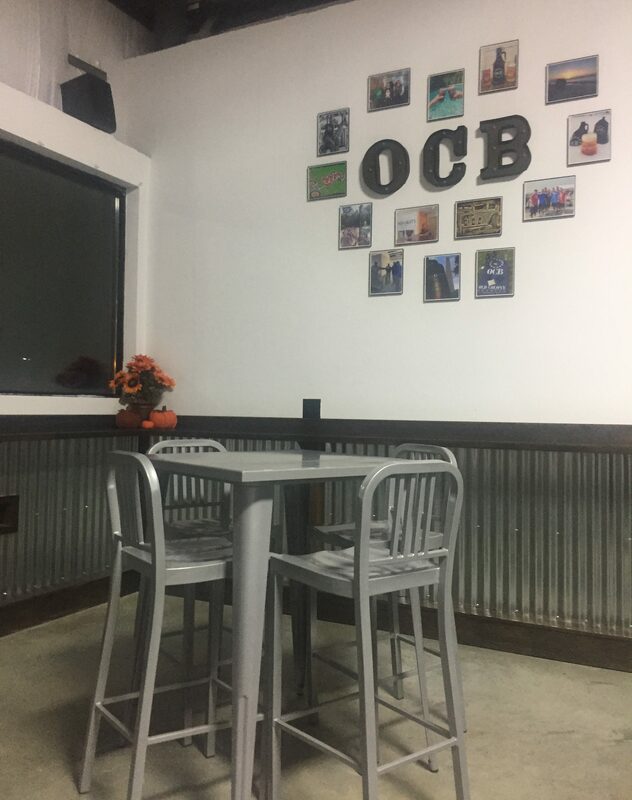 They have a short bar and a handful of tables, with plenty of extra standing room when crowded. 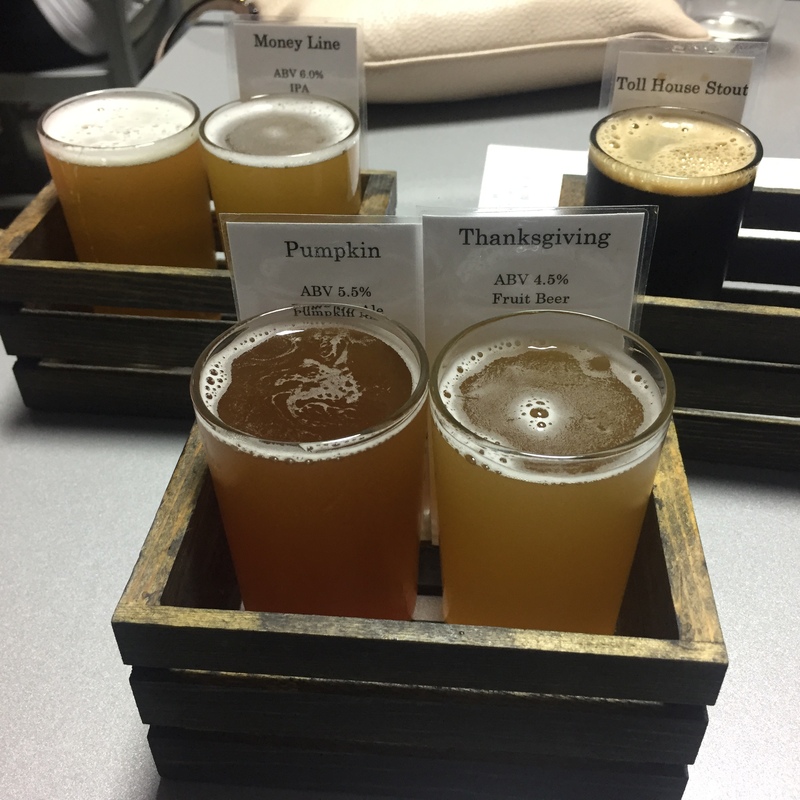 In the early Fall, we visited Framingham Beer Works in Framingham, MA. 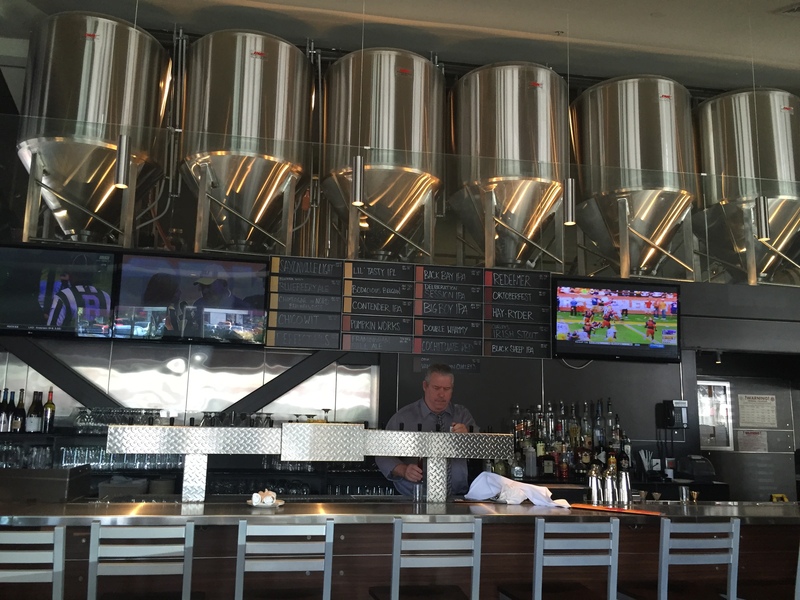 The Beer Works franchise has 7 different locations. 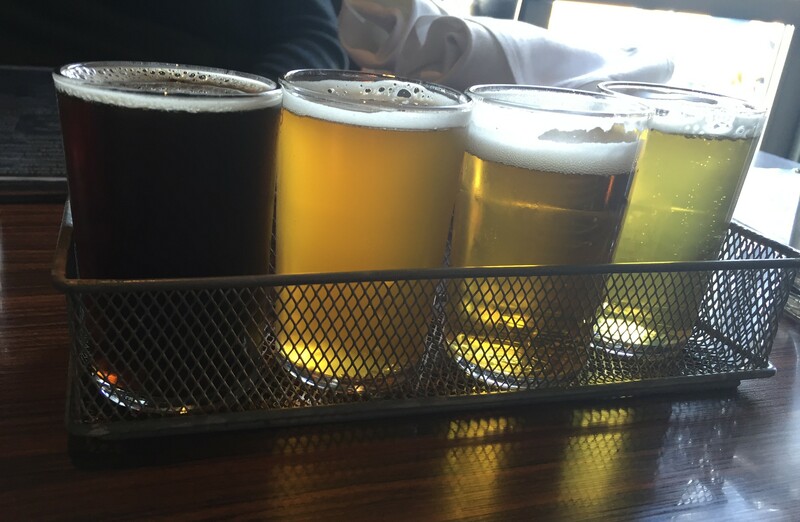 Each location brews their own beer, while Lowell Beer Works does the bottling for all locations. 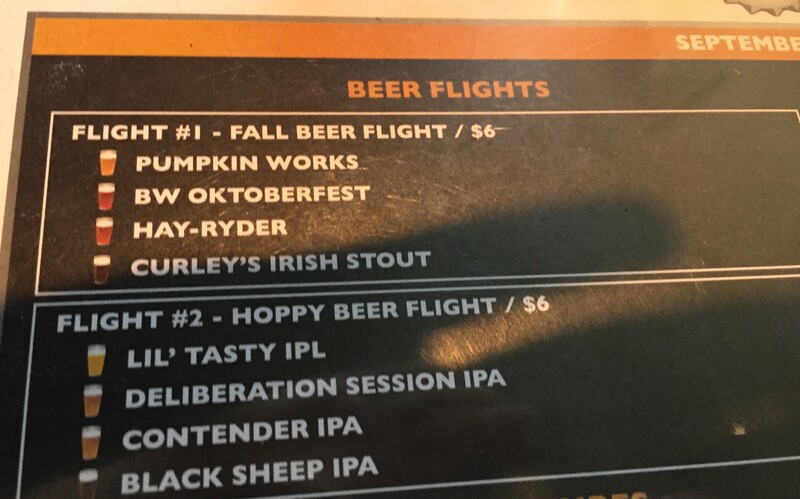 The Beer Works franchise seems to focus on seasonal beers. We have tried to visit during the different seasons so we can try as many of their beers as possible, at different locations of course. 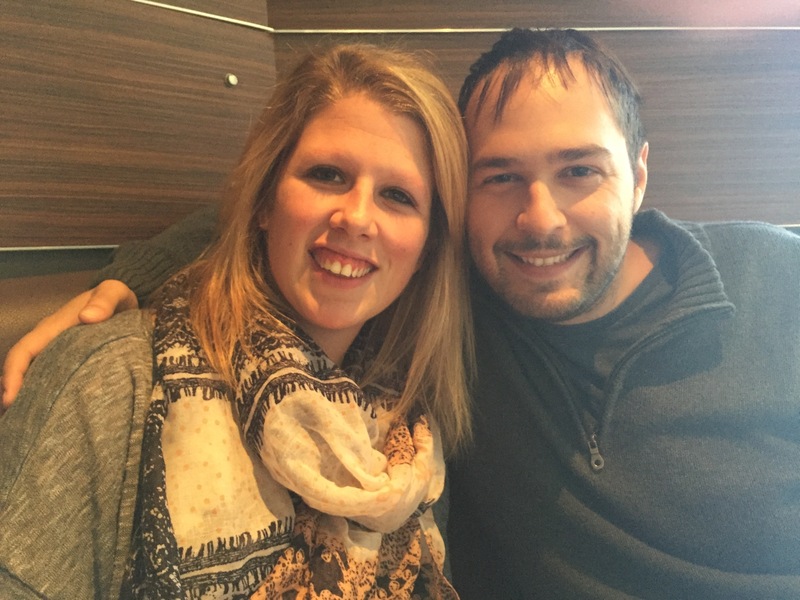 We went for lunch with Megan’s sister Sam and her boyfriend Dustin. Good, pretty standard stout, a hint of roastyness, from the roasted malts they use. A very malt forward beer, decent taste, fairly light in body and not much bitterness. Megan thought it was too strong, too malty. Decent pumpkin beer, best beer so far. They did the brown sugar rim, which definitely added some flavor to the beer. Sam and Dustin had just been to a Beerworks the week before, they liked the Pumpkin beer so they both ordered a pint of it. Not the best IPL we have had, but a pretty decent attempt. More on the bitter hop spectrum for flavor. Fairly light, again more of a bitter hop spectrum, not that bitter, but it was a session ipa so the bitterness is the major taste that stood out. Much better IPA, has more of a tropical fruity hop flavor, not very bitter at all, Mark’s favorite beer this visit. Bitter, with a smoky or burnt flavor that Mark didn’t like that much. Megan thought it had more of a toffee flavor. A sour, tart taste. That’s all it really was though, just sour with nothing much else behind it. 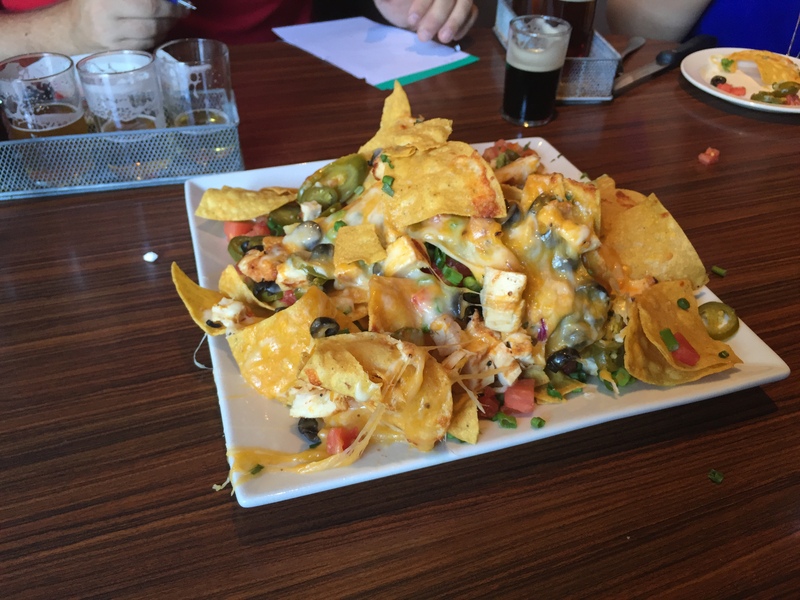 We ordered nachos as an appetizer and it was pretty good. We all ordered burgers for lunch as well, and they were pretty good. We ate them too fast to take a picture! Our visit this fall was not that impressive, compared to former visits. The beers were just ok, nothing we were very impressed with. 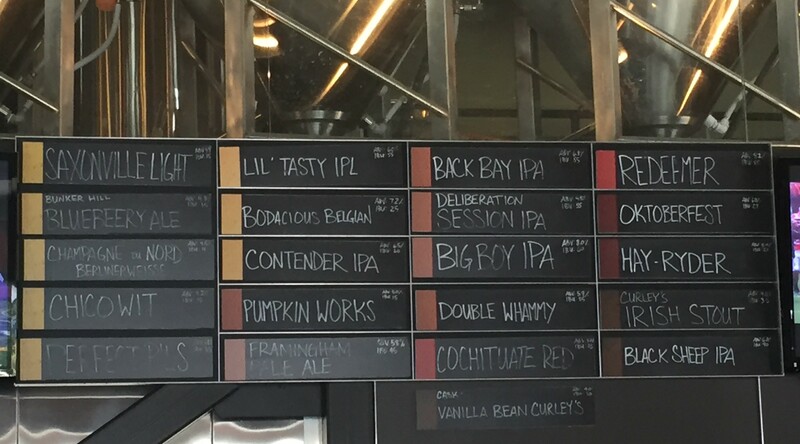 When we visited Boston Beer Works, Fenway Park location, the food and service were good and the beers were pretty good. 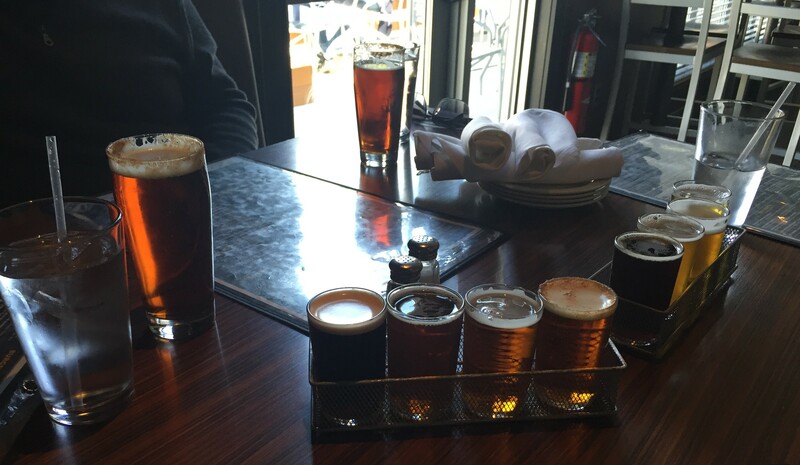 Our best visit was when we went to Lowell Beer Works a year and a half ago, over the summer. Good food, good service, good summer beers. Is there a Beer Works near you? 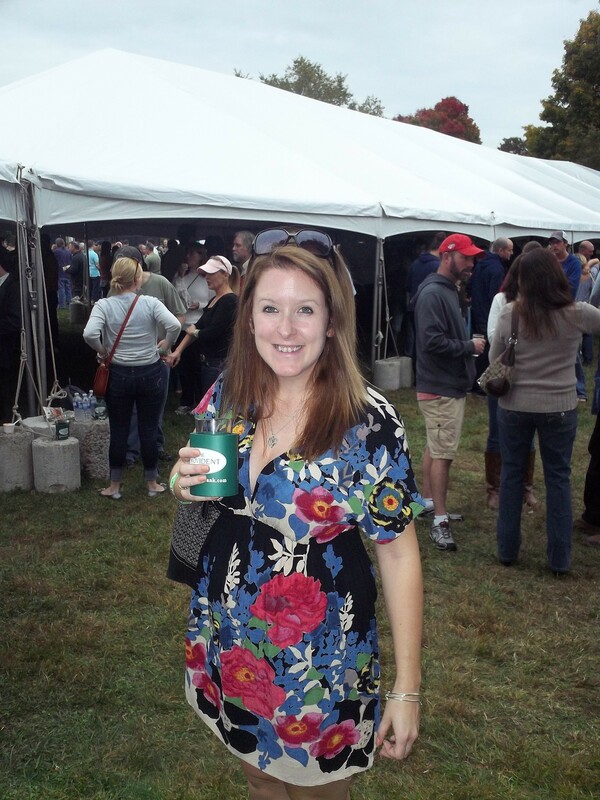 This weekend, Mark and I went to the Powder Keg Beer and Chili Festival, located in Exeter NH. Outside the festival, was a small fall festival with a lot of children’s activities. It was nice to walk through to get to the Powder Keg. 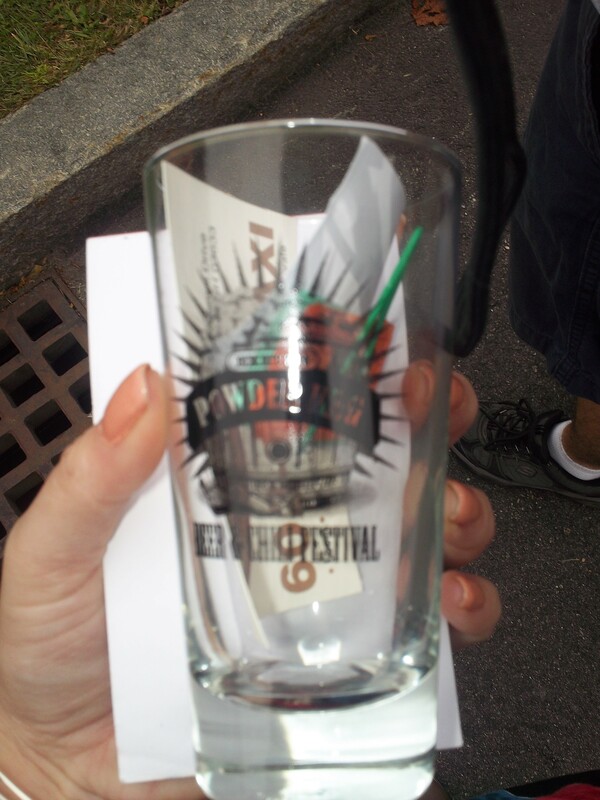 Before entering the Powder Keg, we had our IDs checked, and received an “over 21” wristband. We were also given a map and list of what breweries were there. We then had our tickets ripped and entered. We were told to hang on to our tickets so we could come and go as we pleased. After we walked through the gate, we realized that we hadn’t been given glasses or tickets and realized the table to pick them up was to our right. We both received our glasses from a volunteer and started to walk away. We hadn’t walked too far when I realized my glass didn’t have tickets in it, but Mark’s did. I went back to the table, and at first they were uncertain what to do, but trusted that I was not given tickets and I received them. Thank goodness! 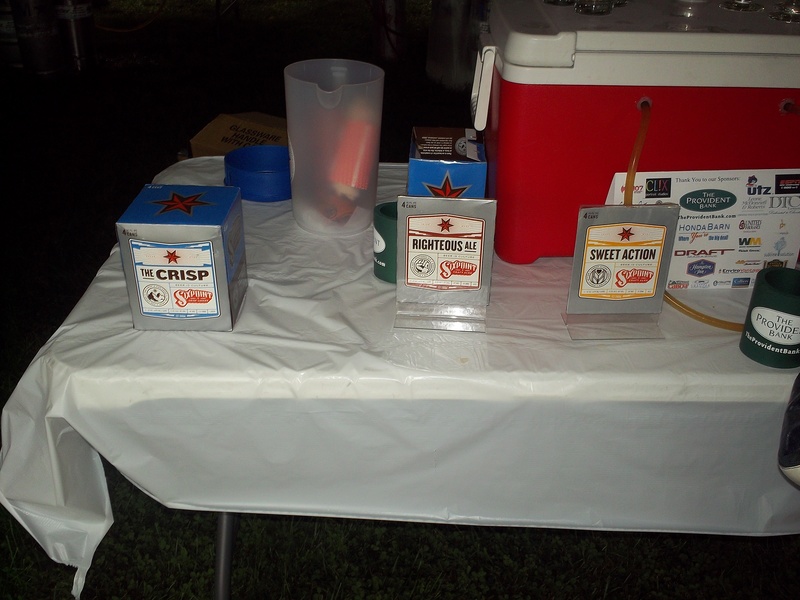 We received 8 beer tickets and 5 food/chili tickets to start with; more were available for purchase. The beer notes will not be very detailed, as most are places we will go to or have gone to already. 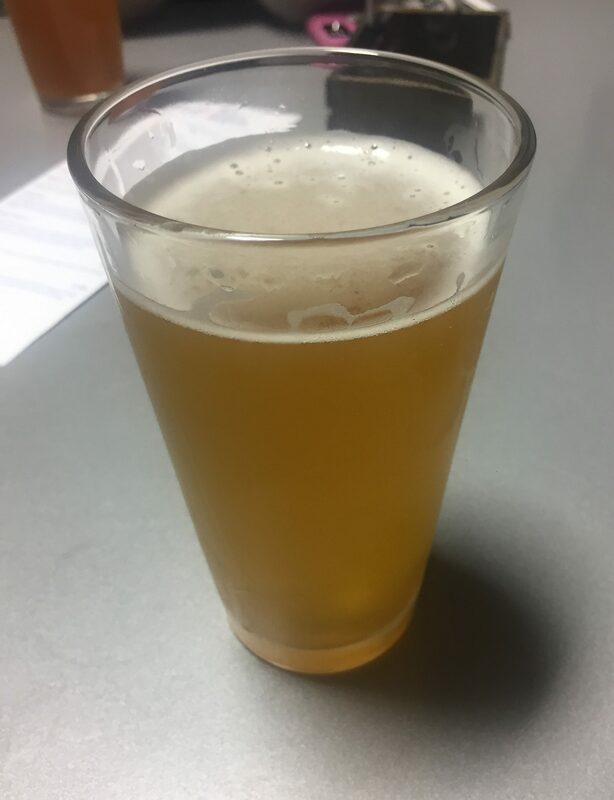 Sweet Action- A hopy cream ale. Mark tried and enjoyed! The Crisp- I tried, good! 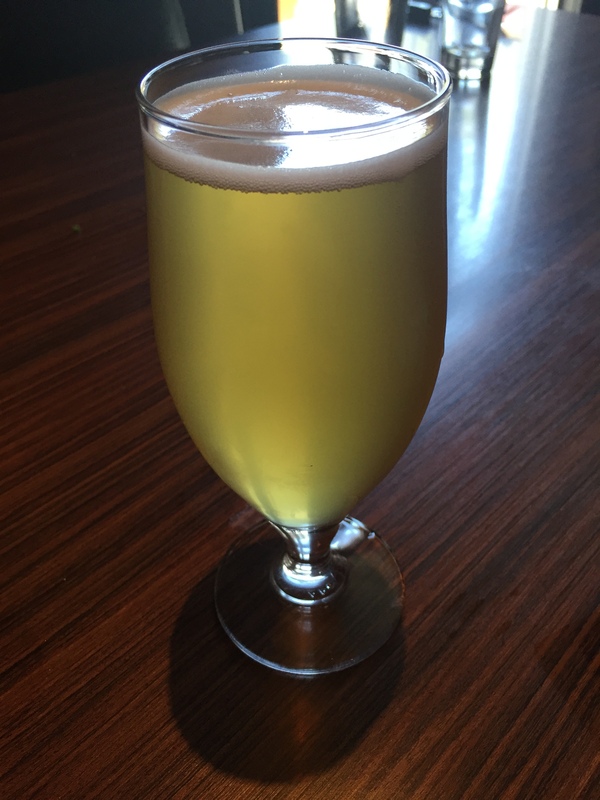 Le Merle- a Saison Belgian style Farmhouse Ale. Really good! Would be a drink I could have if I was going to sit back and enjoy one. Effinghamburgherbrau- a German lager. Mark liked, said it was very smooth. I didn’t like it- 1st sip nope! 2nd sip- not cold enough. Drayman’s Porter, yum good porter! Nice coffee notes. 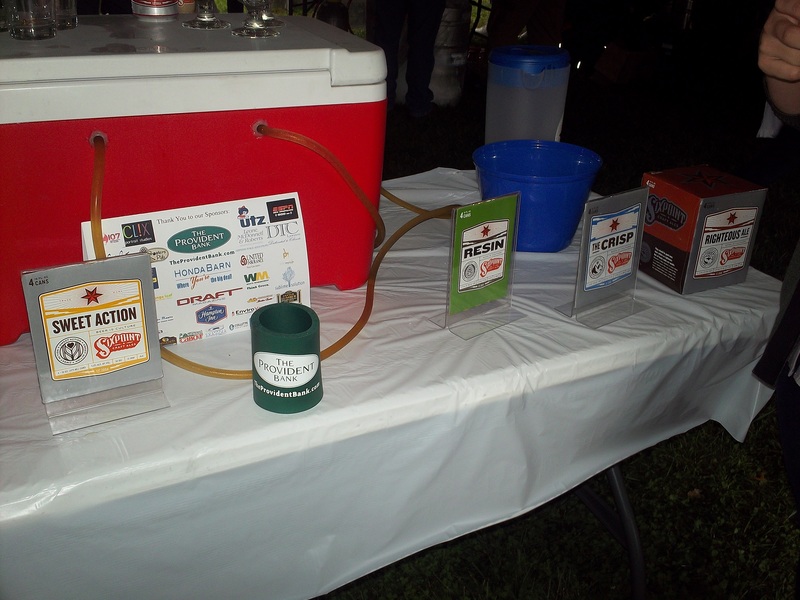 Woodchuck Dry Hop Cellar Series- hops infused cider. Tastes like a beer-cider combo. Not bad. ******Woodchuck’s tasting room is scheduled to open in May!!!! Puca- curry, pumpkin porter. Nice flavor. Curry adds something different to it. Mark said it was a heavier pumpkin than we are used to- really good, a different flavor. Autumn Ale- Really really good! Different, nice spices. Mark said it reminded him of an Oktoberfest, only because he has nothing else to compare it to. Good! Best so far! They add chips to the cup. 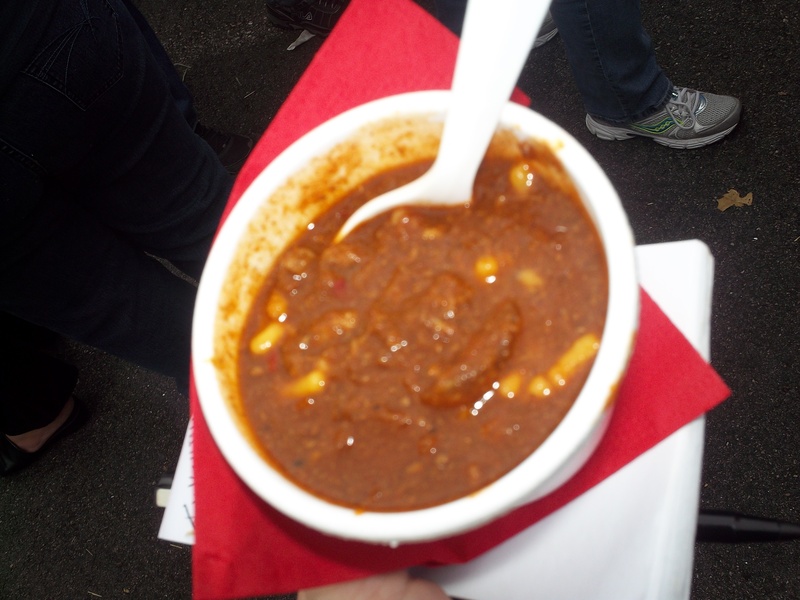 Chili is a regular menu item. Option to add cheese, sour cream and other options. Spicy! Topped with smoked cheddar. Nice smoked, almost BBQ flavor. It had a wicked spice to it, more of an after burn. After burn was ok because it meant they didn’t just add hot sauce to it, but a little too spicy for me! Needed some chips to eat it with or more cheese. 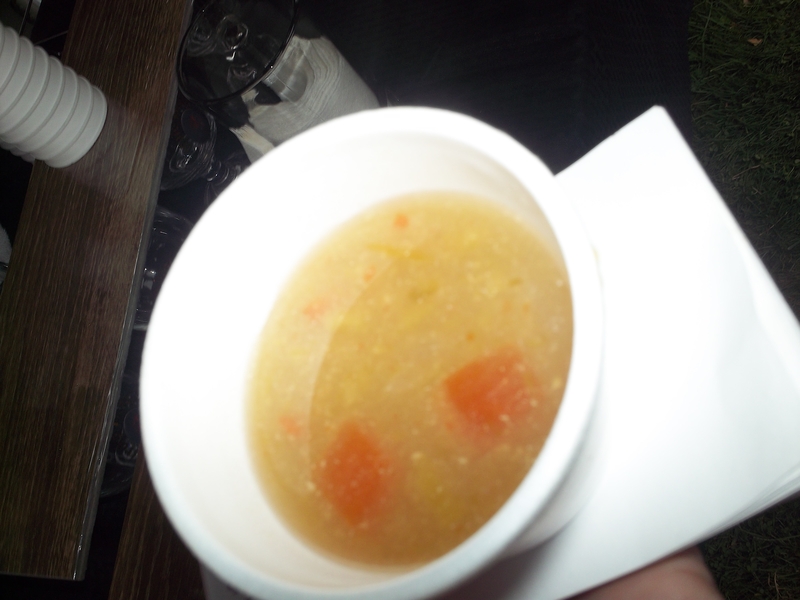 Mark said it seemed almost pureed, it wasn’t chunky like many others. Most flavorful. If it was slightly less spicy it would be the best one yet! 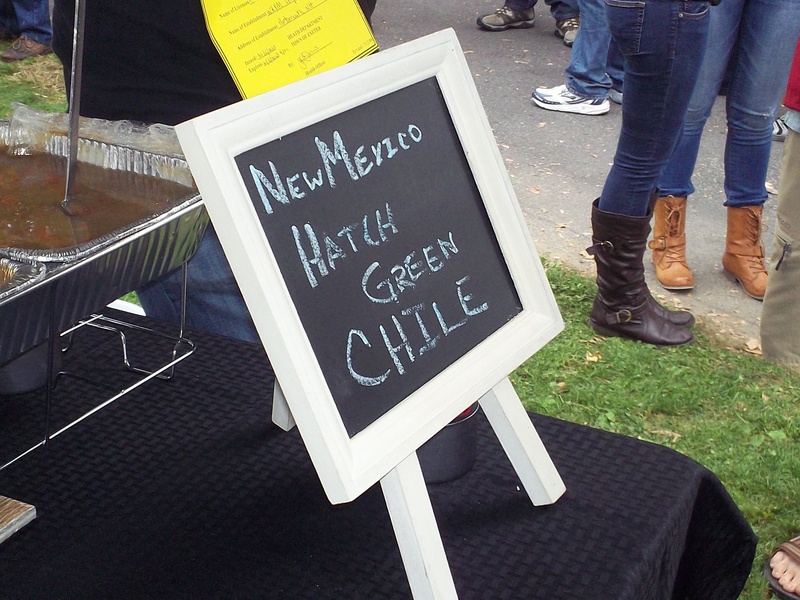 Hatch Green Chili- more of a stew. Made in a traditional New Mexico style, with chili’s directly from New Mexico. Even had potatoes in it! Same type of spices, but different style. Really good! 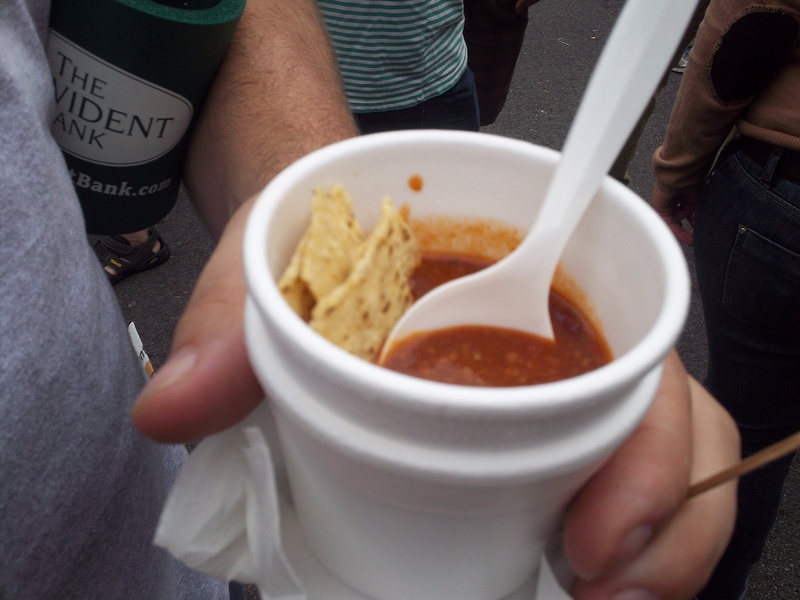 By 3pm, at least two of the vendors were out of chili. 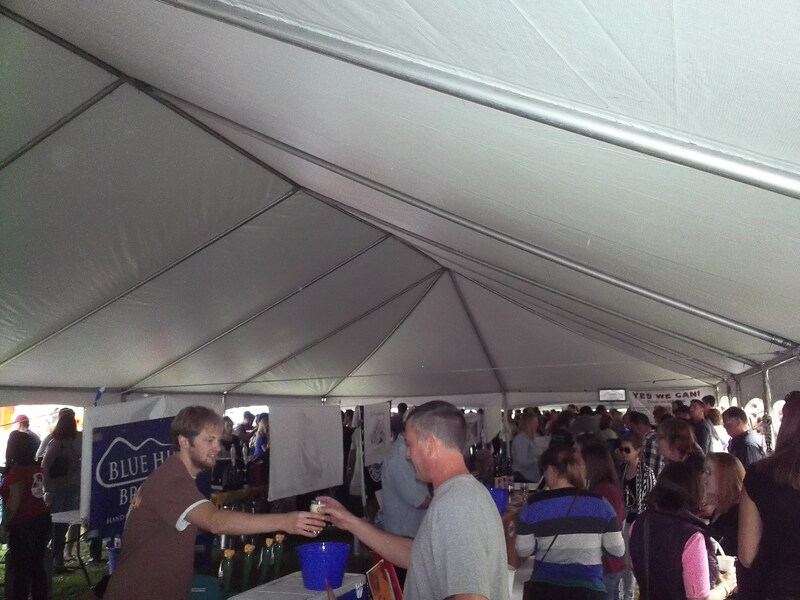 At least 2 vendors were out of beer. 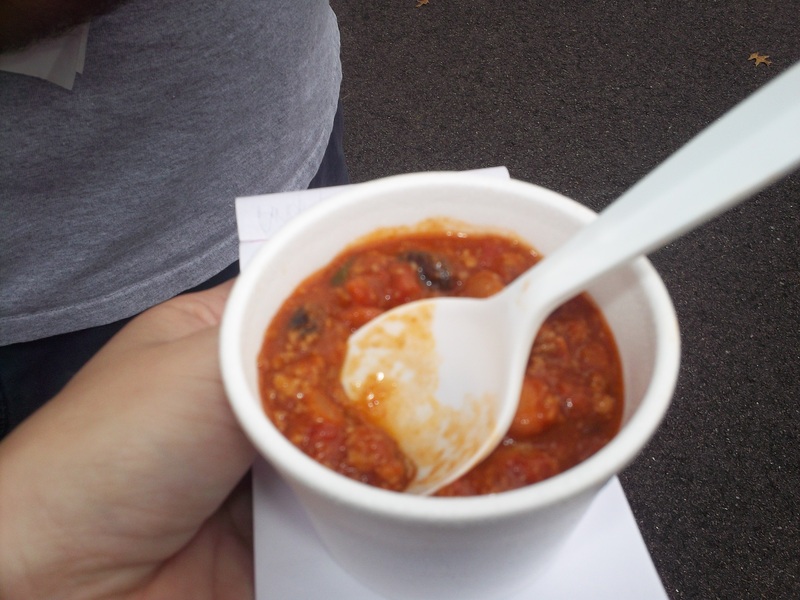 At 3:20, almost all of the vendors were out of chili. Point? Come early! 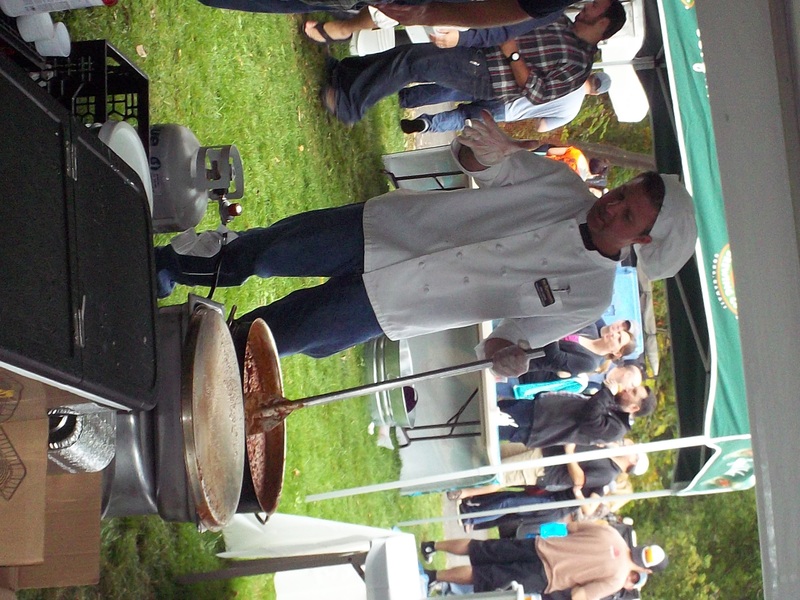 It is a short day, only from 12-4, but you need to arrive early to enjoy all of the chili. This is an event to go to. 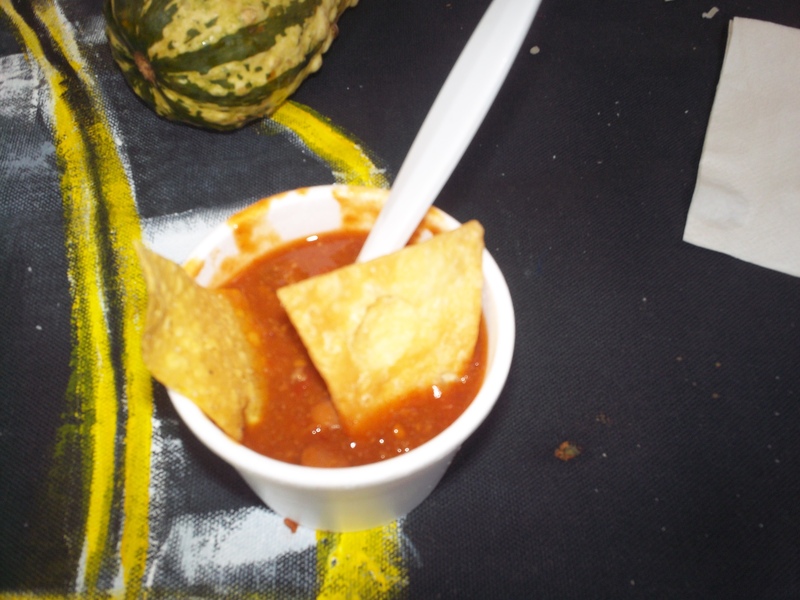 Just plan on eating your chili early! 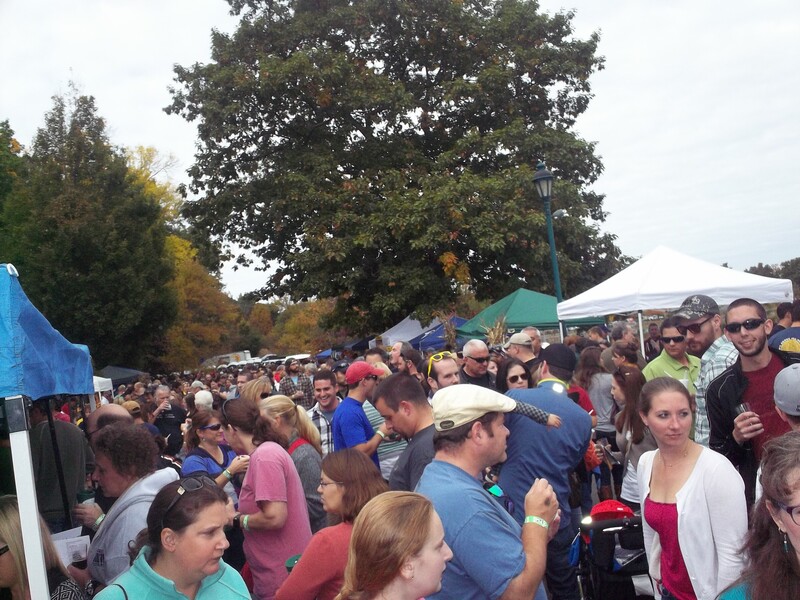 Although I have looked at the beer/brewery page for the Exeter Powder Keg Beer & Chili festival before, I just took another glance and am very excited to try some new beers! 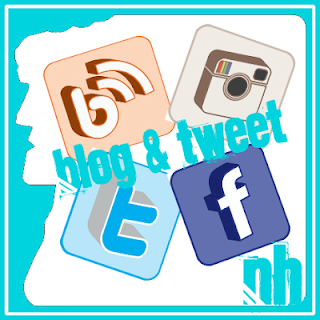 The event is this weekend, from 12-4pm, Swasey Parkway, Exeter, NH. 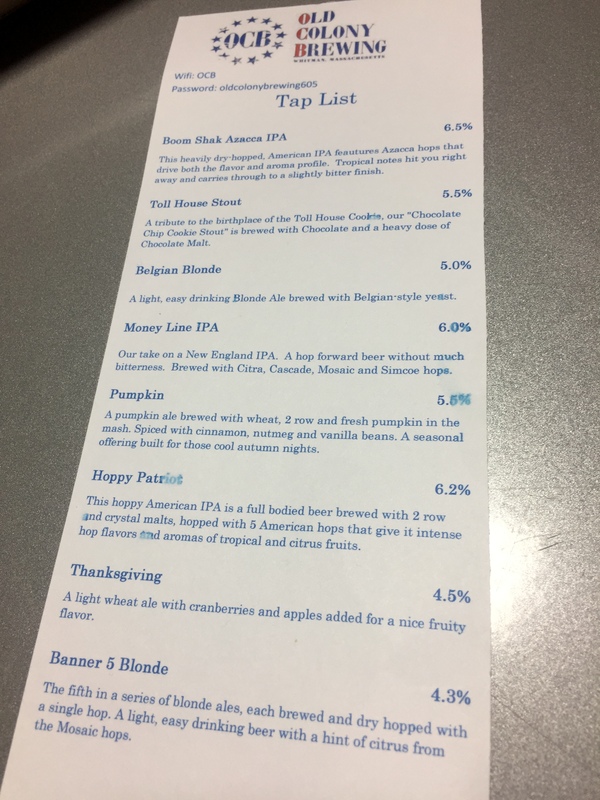 View the beer list here or read on! Feeling thirsty and want to join the festivities? Buy tickets here! I am very excited to try some of the beers that I have seen or heard of, but haven’t tried, as well as beers that are new to me!